Looking for a Spiritual Warfare Book? Which Spiritual Warfare Book is Right for You? Why might I want a spiritual warfare book? When you've made a commitment to follow a spiritual path, sooner or later you reach the point where you can't ignore the inkling that something is trying really hard to make you change your mind. It's a funny thing about making progress on the spiritual path - the further up you get, the harder the dark forces try to hit you to stop you getting anywhere. You're becoming a threat to them so they have to move their efforts up a gear to bring you back down. It would be amusing, except that it means they become a bigger threat to you. All three of the books I'm reviewing here are co-authored by Mark L. Prophet and Elizabeth Clare Prophet. I chose these three because they really are the best of the ones out there. The teachings they write 'ring true' for me and for many other spiritual seekers I've come into contact with over the years. Their keys for overcoming have proved themselves time and again, and so I recommend these books to you in complete confidence that you will get out of them exactly what you need. With 150 pages dedicated to an in-depth discussion of the topic, this is a great all-rounder spiritual warfare book. It examines and explains spiritual warfare from past, present and future perspectives, as well as the many different types of players on each side of the battle. Chapters also include 'A Personal and Planetary Battle' which looks at how spiritual warfare is both a personal, internal battle, as well as an external, world-scale war taking place physically and in the spiritual realm. In 'Evolutions of Light and Darkness' you can find accounts of the children of God, as well as the heavy-duty info on soulless ones, fallen angels, watchers, nephilim, and laggards. The beautiful story of Sanat Kumara's rescue mission is also re-told. If you've never heard of some or all of these terms, don't worry, the explanations are easy to understand. 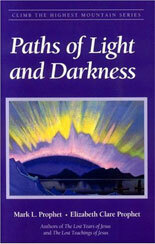 In Paths of Light and Darkness you can also learn about floating grids and forcefields of negative energy and how to avoid them, the concept of the 'judgment', and that word that gets bandied about with little understanding of its meaning - Armageddon. Reading about all this stuff is fascinating but the real key lies in the chapter called 'The Victory'. 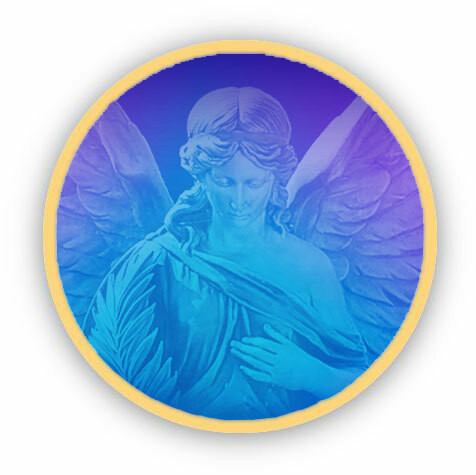 Here we learn how to overcome these forces of darkness and how to be protected from them by the Archangels and the power of Light - vitally important spiritual path skills. One warning I ought to give is that this book is not for the faint-hearted or those who prefer to ignore the 'difficult' side of life. Alongside it being an excellent spiritual warfare book, there are other sections offering teaching on what goes on at a spiritual level with drugs, alchohol, different types of music, abortion, suicide, psychic phenomena and other psychic activities. It's informative rather than 'preachy' and I found reading about these topics simply fascinating, but I recognize that the subject matter isn't for everyone. As the title suggests, this is a spiritual warfare book focusing on the intricacies of the personal battle that we all face, every day of our lives. It's a battle with the elements of ourselves that God did not create, but that we chose (often subconsciously) to take on through our various misuses of energy spanning our many lifetimes. From an energy standpoint it's the 'dense' part of ourselves - the Bible speaks of it as the Carnal Mind, and in cartoon-land it would be the little devil on the shoulder whispering suggestions into our ear while the angel (our higher self) reminds us that there's a better way. In this book the enemy is mostly referred to as the dweller-on-the-threshold. An excellent chapter on the 'perpetual path of victory' gives clear insight into how the dweller can be overcome and the 'Ten Keys for Finding Peace Within' are straightforward to carry out and invaluable on the upward path. I particularly like the mantras and decrees section, with some very powerful affirmations for achieving peace inside and out. 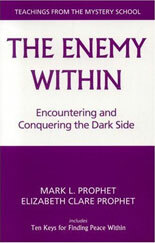 It takes work to conquer the enemy within but this book lays out the spiritual warfare strategies you need to succeed, and it's quite inspiring in the process. Each chapter is written in its own style, with some being lighter reading and others including slightly more advanced spiritual teachings. Fortunately they are more or less self-contained so you can pick and choose the sections that are right for you. Of course everyone has their own preferences, but in my opinion I've saved the best till last for you. This is a skinny book with larger font and completely self-contained mini-chapters (some only a couple of pages), so it's perfect if you like to have something you can dip in and out of when you have a spare five minutes. It's written in a matter-of-fact way, keeping directly to the point, and for that I think it's awesome! 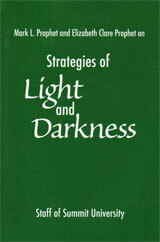 This spiritual warfare book outlines 33 'Strategies of Darkness' -meaning strategies the dark forces use to take us off the path- each followed individually by its counterpoint 'Strategy of Light' -the strategy that we can use to overcome that particular strategy of darkness and make it powerless against us. It's such a simple book, if I told you any more I'd be retyping the contents. It's really good, period. by C.S. Lewis. It's a classic! A light-hearted and humorous look at a serious matter, that manages to raise as many 'aha!' moments as it does chuckles. The premise is simple: letters of advice from Screwtape, a high-ranking demon, to his nephew Wormwood, "a novice demon in charge of securing the damnation of an ordinary young man". It's funny and engaging, and at the same time illustrates the Strategies of Light and Darkness (mentioned above) rather well. Click here for a preview of the novel. I hope you've managed to find an intriguing spiritual warfare book from among that lot, and I wish you God-Victory in your own spiritual battles.